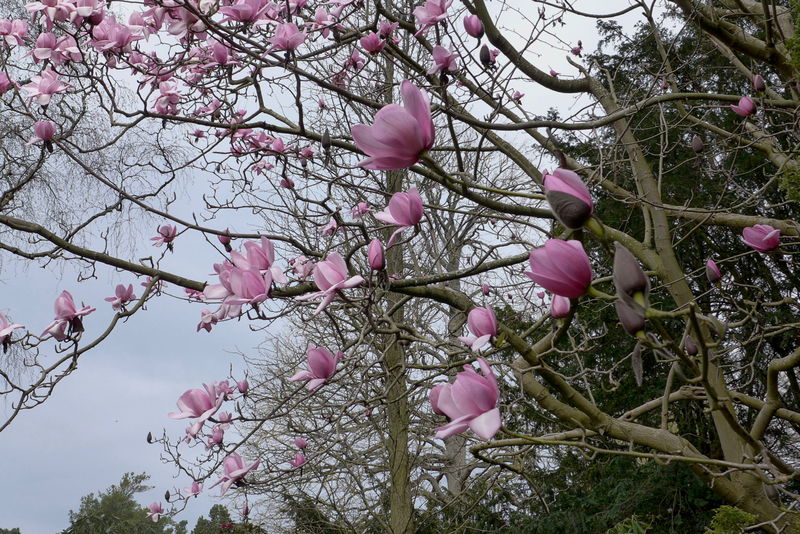 Alongside the design projects that Rootstock undertake, Harry is also researching the potential of using Magnolias in urban forestry at the Centre for Designed Ecology at the University of Sheffield. Due to the high profile nature of urban tree planting, landscape architects are typically more conservative in species selection of trees than in other types of planting, preferring to rely upon a limited palette of proven species than risk selecting species with which they are not familiar. Under climate change, changing weather patterns will be exacerbated by new pests and pathogens, making it more difficult to predict what species will be successful and creating an urgent need to diversify our urban forest. As specifiers, landscape architects are typically both partly responsible for this crisis and also best placed to help resolve it. However, the urban forest is not just street trees: new techniques (such as the Stockholm Tree System) and situations (such as swales and podium decks) are being increasingly used, creating opportunities to specify species that are typically seen in horticultural, garden or parkland terms. The aim of this research is to identify the extent to which Magnolia species are capable of tolerating conditions in urban environments under climate change in the 21st Century. The study has an emphasis on identifying genotypes at a sub-specific level that are appropriate for large-scale cultivation, so that landscape architects will be able to confidently specify a wider diversity of trees and mitigate the impacts of climate change. The supervisory team will be lead by Professor James Hitchmough, with Dr Ross Cameron as secondary supervisor and Dr Henrik Sjoman from the University of Gothenburg as adjunct supervisor. There will be carried out in partnership with the Sichuan Forestry Department. Our first step will be to combine a literature review with a scoping study of seedling trials and assessments of mature specimens to establish a database of stress tolerance traits, including tolerance of anoxia, shade, heat and drought. These data will be mapped against the range of conditions found in urban biotopes, and allow us to identify populations of Magnolia species in Sichuan that can be targeted for seed collection. Seedling trials of wild-collected material will be carried out in 2018, looking at a number of characteristics, including optimum temperature for photosynthesis, flowering time, plant architecture, tolerance of low temperatures, tolerance of limestone-derived soils, and tolerance of drought. These trials would allow systematic and thorough investigations into the potential performance of Magnolia in urban forestry to be carried out, providing essential information to landscape architects and nurseries in China and the U.K. so that appropriate plants can be brought to market in sufficient volume to begin mitigating the effects of climate change. Given the wide range of sources required for this study, the research could have impacts in the research into archival material of early plant collectors, urban forestry, conservation and urban ecologies.